Courtesy of Alex Stefan, RE/MAX Realty Services. PROPERTY IS TENANT-OCCUPIED THROUGH JUNE 30TH @ $1,600/MONTH. Fully renovated unit w/balcony & grg space. Sleek modern KT w/new frosted glass panels & aluminum cabinets, granite, decorative tile. New BA w/designer vanity & cabinetry. Amazing Promenade amenities – you really don’t have to leave the complex as everything you need is there (indoor & outdoor pools, 24-hr manned gate entrance to complex, 24-hr concierge, fitness center, convenience store, restaurant, beauty salon and more. VISIT THE EXCELLENT PROMENADE WEBSITE FOR COMPLETE INFO (www.thepromenade.org). Co-op fee includes all utilities, basic cable & taxes. Shuttle to metro. Subject to co-op board approval, min. 10% down payment required. 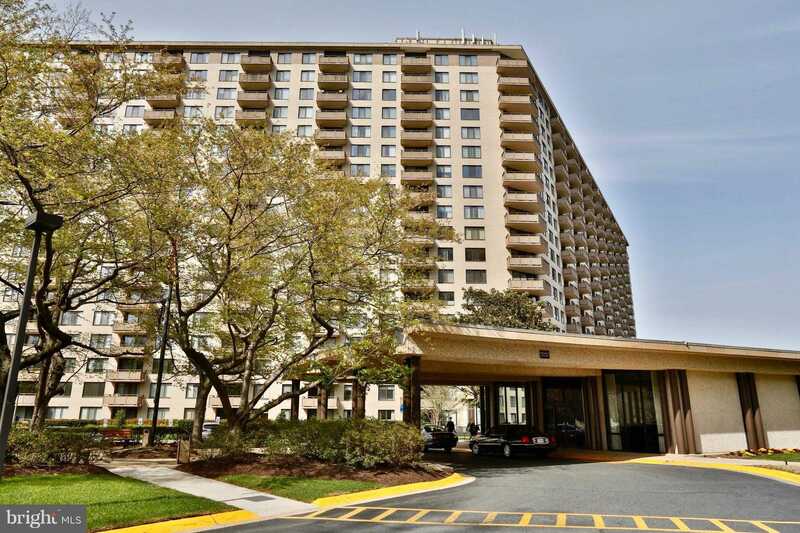 Please, send me more information on this property: MLS# MDMC487402 – $158,900 – 5225 Pooks Hill Road Unit 1206n, Bethesda, MD 20814. I would like to schedule a showing appointment for this property: MLS# MDMC487402 – $158,900 – 5225 Pooks Hill Road Unit 1206n, Bethesda, MD 20814.